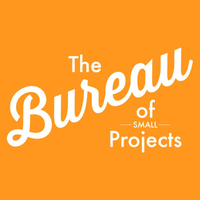 Small Projects Bureau Client Reviews, Rating and Analysis Report. After working with a number of different web design, development and marketing companies I was so relieved to have these guys! David and his team are top notch! Very friendly, fun, and easy to work with unlike many of the other digital companies I'd tried out. Small Projects Bureau are very upfront about costs and timelines. You'd be hard pressed to find a better team especially for any comparable pricing. David Gaz and his team are incredible. Look at my web site and you will see why: www.paddlediva.com. He's fast, reliable, fair priced for the quality of work you get. I highly recommend him. Hands down the best designer, web designer I have ever used. Worth every penny. David Gaz and his team at the Small Projects Bureau provide service, quality, and creative genius that is second-to-none. They treated my small business with service and design attention that made me feel like I was the CEO of a Fortune 500 company. Whenever I have a business partner in need of a brilliant web design, branding, development, and creativity, sending them to the Small Projects Bureau is the obvious choice.